2015 was a rough year for Estonia and its national flag carriers. After European Commission concluded the airline had been given illicit state aid, Estonian Air went bankrupt as it could not afford to return the sums – € 85 million. At the same period of time, as a contingency plan, Estonian state established new national flag carrier that would take over all the passengers but with no previous debt or problems. This is how Nordica (initially – Nordic Aviation) was found, as a last resort for a small Baltic country to ensure having a national flag carrier. “Everybody understands that having national airlines is a much needed thing for every country. As it is known, national carrier, particularly in the beginning, is a huge burden. Especially, if we have in mind that the airlines belong to small countries, such as Estonia. 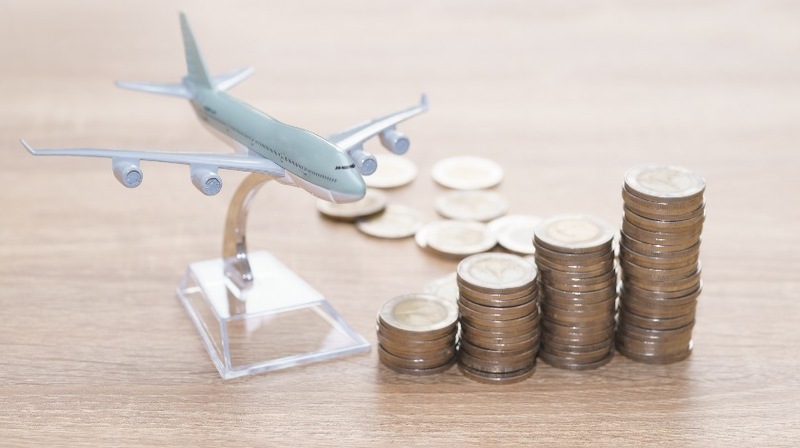 There were quite a few examples on how airlines go bankrupt but the new solution of Estonians gave a small gap for succeeding and it worked,” notices Gediminas Ziemelis, Chairman of the Board at Avia Solutions Group. Aviation industry is extremely important to an annual gross domestic product (GDP) for every country in the world. Air transport can play a key role in economic development and in long term economic growth. As it is calculated, aviation directly brings approximately 1% of the GDP. Let’s count, how much Estonia could have lost if they wouldn’t have saved their airlines: in 2014 Estonia’s GDP was around 21,6 billion, in 2015 – 18,3 billion, in 2016 – around 19 billion and in 2017 – around 20 billion euros. “The government officials realized that for a small country like Estonia, airlines are essential. Losing national carrier means losing all the airways and possible tourists. That would also isolate the country from basically all the world as it would become more difficult to reach it and it would be a huge damage for the economy. That is why even two months before the European Commission delivered their conclusions of investigation, they have officially stated of founding a new aviation group, in case of bad ruling. A contingency plan was made and it became a saviour of quite a part of Estonian economy,” said G. Ziemelis. At the beginning of operations, Nordica was operating under the name of Slovenian carrier Adria Airways. Now, from November 2016, they have a strategic partnership with LOT Polish Airlines. LOT has 49% of the shares and Nordica is carrying LOT’s flight codes and call signs on most of the flights. Although the subsidiary of Nordica – Regional Jet – has an Air Operator’s Certificate (AOC), Nordica regular flights currently use the airline codes of LOT, except for flights to Russia. Therefore, up until this day, Nordica has no AOC of its own and it can be seen in Estonia’s Civil Aviation Administration website. “Everybody in aviation industry knows how difficult it is to get an AOC and how expensive it is. Besides that, the AOC has one more bad side – it prevents the operator to receive a financial aid from the state. For small countries and moderately small airlines the aid is essential but Estonians learned it the hard way that trying to pull this off in a normal way is impossible,” explained G. Ziemelis, adding that it was a very good strategic move that has built a new company, Nordica, to its success. Despite some troubles, Nordica is becoming quite a successful carrier. In 2017 they have reached their new record and transferred over 613 thousand passengers, growing the numbers by 63 percent in comparison with 2016. They have expanded their aircraft fleet to 16 planes, created 19 destinations and increased punctuality. “Nordica – isn’t the only one example of such situation. There must be a little coincidence that at the same year, just earlier, Canadian cheap flights company NewLeaf was found and did quite the same thing, just branded themselves as a virtual airline. This way they were able to move around aviation business and operate without an AOC, only attaching themselves to the license of the bigger company. This is more or less the same thing what Nordica did,” explained G. Ziemelis.